With this post, I want to address recent criticisms voiced on Twitter concerning our efforts to organize De Correspondent around the principles of inclusivity and diversity, and about the lack of progress in improving diversity while expanding our journalism platform into the English language as The Correspondent. First, we take these criticisms very seriously — and embrace them as an opportunity to do better. Both our views and our company policies and practices on this matter have been fundamentally shaped by our fiercest critics, whose concerns we’ve not only listened to but also published on our platform (for example: ‘Here’s what’s wrong with De Correspondent and Rob Wijnberg’ and ‘The most important criticisms of our diversity (and our response)’ — in Dutch). We do this because we fully agree on the need for improvement in making our newsroom, non-editorial staff, leadership positions, journalism, and membership base more diverse — both in cultural background and in world views. Our 10th founding principle is that we believe in transparency and continued self-improvement, which doesn’t just apply to our correspondents, but to the way we run our organization as well. We have publicly committed ourselves to tackling these problems, putting this principle into action, and we have sought and received a lot of help in doing so (for example through call outs and updates on our progress here, here, and here — in Dutch). Our thinking about diversity-related issues has also evolved over time, which is partly demonstrated by the fact that the company policy to be as inclusive as possible has been one of the two additions to our founding principles over the last five years (the other is safeguarding member privacy). My own personal thinking about this issue has also dramatically evolved, shifting from being a sceptic about diversity (taking the traditional Enlightenment-age position that ‘color blindness’ is the morally just stance) to a public proponent of action on diversity, including affirmative action (taking the stance that lack of diversity is a historical injustice rooted in societal power structures that can’t be addressed by principle alone––like ‘color blindness’ suggests). I have not only changed my views on this but also acknowledged that change publicly (for example: here and here — in Dutch). Because of these changing views, both personally and organizationally, we have taken many steps to change the cultural and ideological homogeneity of our newsroom and our journalism. We have done so by hiring writers of color and of different religious and cultural backgrounds, and started covering topics like systemic racism within police forces, the suppressed Dutch history of colonialism and its modern-day consequences, the pervasiveness of prejudice, white innocence in Dutch culture, everyday life of refugees and the elderly in The Netherlands — and more. We have also hired staff of color in non-editorial (management) positions and improved the gender balance in key leadership positions. De Correspondent’s two editors-in-chief and our publisher are women. Next to this, we set up long-term collaborations with like-minded organizations like The Black Archives and FunX, and participated in a year-long research programme with the University of Amsterdam to help improve our diversity practices. This does not mean that we are as diverse and inclusive as we want and need to be — there are still big steps to be taken and strides to be made. 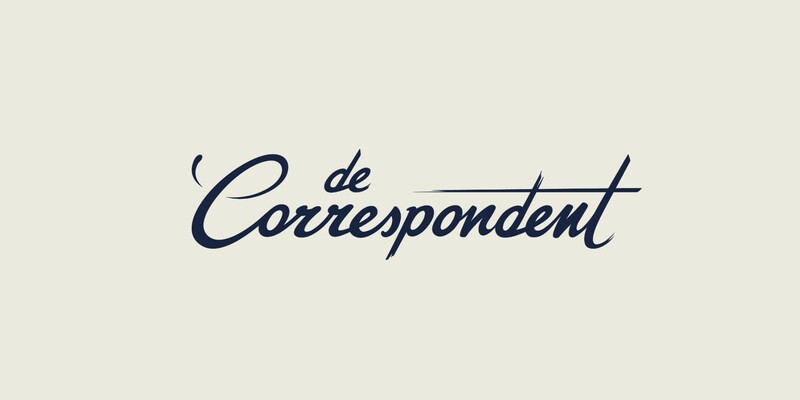 We are fully committed to taking these steps both at De Correspondent in The Netherlands as well as with The Correspondent, our venture into the English language. As we start something new, we’re building diversity in from the start, rather than course correcting for it later. Our first hires here in the US — Zainab Shah as our Operations Lead, Baratunde Thurston as our Campaign Strategist — are, we hope, a positive first step towards this commitment. Both are vocal proponents of more diversity in media, as you can read here and here (in English). In the meantime, we welcome, and will always welcome, all critical assessment of our progress because it is exactly that criticism that helped us see our shortcomings in the first place, and helped us discover ways to make the change that is needed. This conversation is as an opportunity for us to do better, and put the principle of transparency and continued self-improvement into practice. Philosopher turned entrepreneur on a mission to redefine the news. Founder of The Correspondent, a journalism platform for #unbreakingnews.